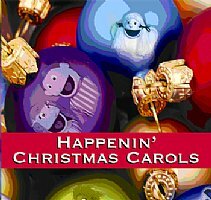 We have taken familiar Christmas carols and recorded them to different musical styles. Imagine hearing, 'The First Noel' sung like Elvis to one of his rockin' tunes. These ten songs are guaranteed to be a hit as you play and perform them with puppets, listen to them, or even sing along. They will give a new twist to Christmas music familiar to almost everyone.